How would you like to fly around the world… for free? Regular people, just like you and me, do this every day; they’re called travel hackers. If you’ve started travel hacking and are eager to learn more, it’s time to turn to the wide world of frequent flyer bloggers. They keep their ears to the ground to find you the best and latest in airline promotions and deals. Since many of them share similar content, we recommend finding the bloggers whose voices and writing styles suit you best, then following them via RSS, email or social media so you don’t miss a beat. Travis and Heather Sherry are the brains behind the fun-loving Extra Pack of Peanuts. More than your average blog, they offer a ton of frequent flyer resources including an ebook, podcast and ecourse. Having been in the travel industry for almost 25 years, Tim Winship knows his stuff. Lucky for us, he shares tons of insider knowledge about both the industry and its rewards at FrequentFlier. Rick Ingersoll is one of the best-known names in the frequent flyer business. He founded Frugal Travel Guy back in 2007, and it’s now a veritable encyclopedia of travel hacking tips and tricks. Johnny Jet’s blog isn’t just a frequent flyer blog; it lists tips and tricks for all aspects of travel. We always love his weekly recommendations for travel apps, websites and products — and we think you will, too. 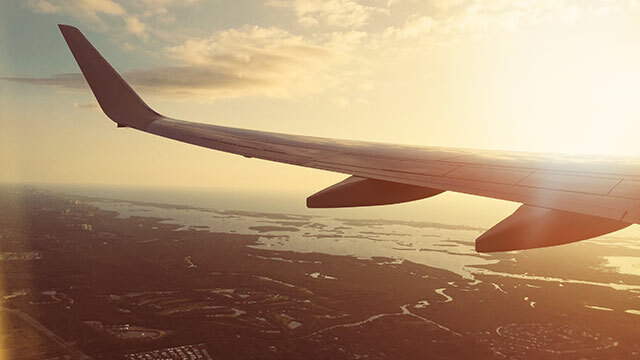 Though Ric Garrido’s blog may be more about hotel rewards, he writes often enough about flying that he definitely warrants inclusion on this list. That being said, once you have your flights covered — turn to Loyalty Traveler to figure out where to stay! Post you’ll like: Which websites allow a 24-hour free cancellation for airline tickets? Because of their commitment to honesty and integrity, Daraius and Emily’s Million Mile Secrets is one of our favorite blogs on the list. They always share the best deal with their readers — whether they earn a commission or not. Scott Grimmer is a 27-year-old who’s had a beer on every inhabited continent. Want to do the same? Then check out MileValue, and perhaps even book him for a free credit card consultation. If you’re a parent who would like to show your child the beauty of the world, then Summer Hull is your girl, er, mom. On Mommy Points, she discusses traveling the world with kids by using miles and points. Matt Kepnes, better known as Nomadic Matt, is one of the most famous travel bloggers around. He shares tons of tips for traveling cheaply, including how to best use frequent flyer miles. The team at Noob Traveler, headed by Geoff Whitman, offers lots of information on the travel rewards world, and is a great spot for — you guessed it — noobs. One of our favorites on the list, Ben Schlapping (aka “Lucky”) has been blogging at One Mile at a Time since 2008. He’s an excellent writer who’s always up on the latest trends and deals; we also love reading his trip reports about jaunts to far-flung locales. Ariana Arghandewal’s blog PointChaser is clear and helpful for beginners. We especially like her monthly “Points and Miles Checklist,” where she outlines what you should be doing each month to maximize your earning. Though pigeonholing Chris Guillebeau’s wonderful site as a frequent flyer blog would be unfair and untrue, The Art of Non-Conformity often has valuable insights on the more philosophical side of earning points and miles. He’s also part of the team behind the Travel Hacking Cartel, an insider community of strategies and offers. Post you’ll like: How Much Does It Cost to Visit Every Country in the World? Brett Snyder has been obsessed with everything planes since he was a kid. That’s his focus at The Cranky Flier, and his fresh and funny blog is a great place to learn about his passion. The Points Guy is one of the most famous and well-respected frequent flyer blogs around, and for good reason. Brian Kelly and his team offer comprehensive, well-researched information for everyone from beginners to experts. Experienced travel junkies may remember Scott Mackenzie’s blog Hack My Trip — last year, he renamed it Travel Codex and added a community forum. Though the name changed, the content hasn’t; it’s still good as ever! Though Drew and Caroline’s blog has always been helpful, they recently took it to another level by publishing all the expenses they incur while traveling full time. Not only that, but Travel Is Free is great for beginners because it’s easy to navigate and chock full of resources and infographics. Having hacked his way through 80+ countries, Clint is definitely an expert when it comes to affordable travel. We appreciate how he uses TripHackr as a platform for discussing both travel rewards and creative ways to spend less money on travel. In this case, we’re saving one of the best for one of the last. Gary Leff’s View from the Wing is an authority on travel rewards, and you’ll always find clear and up-to-date frequent flyer news here. Rand Shoaf learned to maximize credit card deals in college, and he now shares his tips with the world at Well Traveled Mile. He offers an array of resources that are helpful to those just starting out with miles and points. Your Turn: What are your favorite frequent flyer blogs? Who did we miss?